Build, own and operate your own backyard aquaponics system. Feed a family of eight year round with one module of Portable Farms® Aquaponics System. Start a commercial aquaponics installation by installing twenty to thirty modules and selling the food you grow. (right) 40 days after the seedlings were planted in the Grow Tables and the fish were installed in the fish tanks. View a 2-minute video clip of the interior of 16 x 33′ Portable Farms® Aquaponics Systems – This small 16 x 33′ Portable Farms® Aquaponics Systems (in above video) feeds ten people the table vegetables and protein (tilapia) the food they need for optimal health – forever in 528 sq ft total space and 264 square ft grow space. This YouTube video has been viewed more than 64,646 times. Learn how to grow healthy fish and vegetables to become self-sustaining. 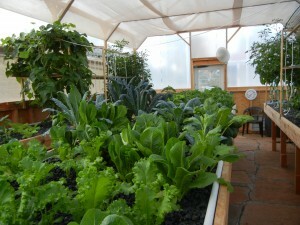 View photos of food grown in Portable Farms® Aquaponics Systems: CLICK HERE. Aquaponics is easier and more productive than traditional gardening or agriculture for growing food year round. It also uses 95% less water. 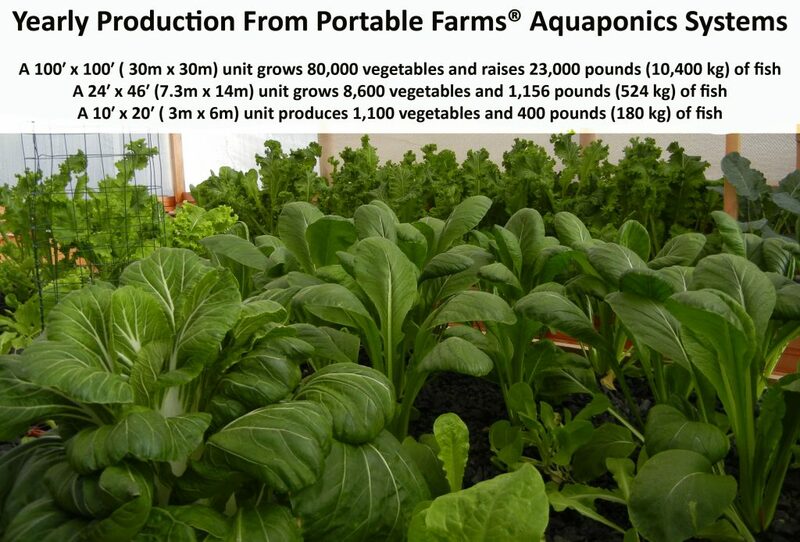 Portable Farms® Aquaponics Systems also uses lower levels of electricity and less labor than any other aquaponics system in the world. 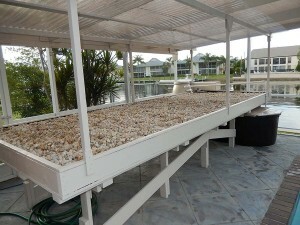 Portable Farms® Aquaponics System in Southwest Florida is OFF GRID AND SOLAR. CLICK HERE to read article and view more images of this farm. This Portable Farms® Aquaponics System (above) is fully solar powered. It has one grow tray that is 6’ x 16’ (96 sq ft of grow space) and will feed four people fresh vegetables and fish FOREVER. How? 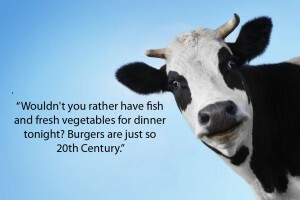 The answer is simple: 1) Plant 2) Harvest 3) Feed the fish. 4) Repeat. 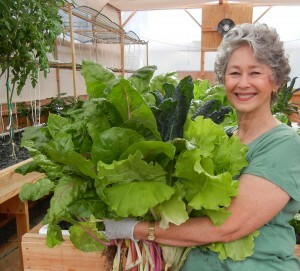 Kale and Bok Choy grown in Portable Farms® by Phyllis Davis, co-inventor, Portable® Farms. Phyllis Davis, Co-Inventor, Portable Farms® Aquaponics Systems holding a freshly harvested bouquet of fresh greens. READ FOR FREE: THE ENTIRE CURRICULUM OUTLINE FOR Portable Farms® Aquaponics Systems Course© – CLICK HERE. CLICK ON THE CRAZY PROFESSOR to learn more. 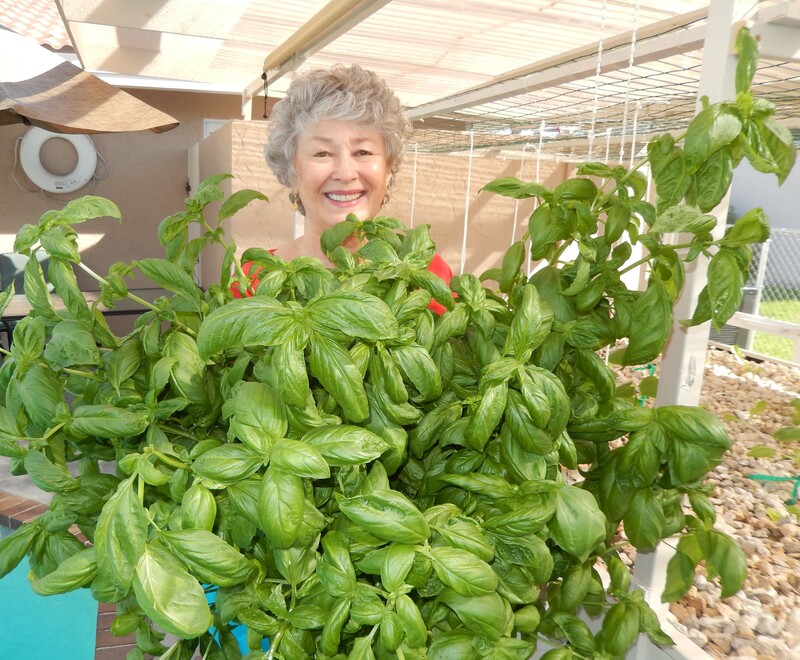 Phyllis Davis harvesting fresh delicious basil from Portable Farms® Aquaponics System. what is and what is NOT included. GO TO SECOND BOX ON RIGHT PANEL OF WEBSITE: After providing us with your first name and email address, a link to the price list appears (in two seconds) under the box. Is this suitable for Thailand? Here I am asking about the climate for working aquaponics and shipping the materials for building the systems? Please read the mother site at portablefarms.com for a better explanation of the climatic requirements. 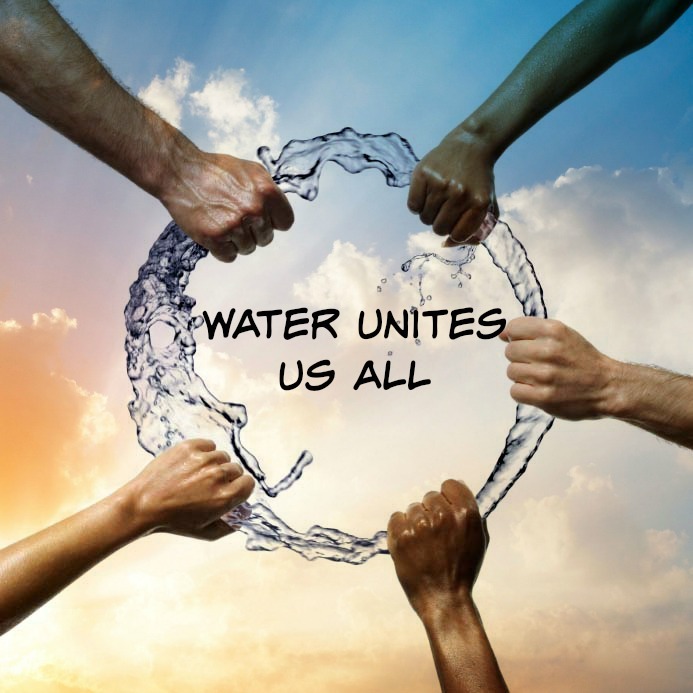 The PFAS can be build and operated successfully anywhere in the world because it requires being housed in a climatically adapted structure. We have opened our new Research and Development Center in Florida to address using the PFAS in the tropics where much less concern is directed at the weather and more to insect control and rain control. The ‘materials’ that are shipped, the PFAS Kits, come in a box that is 30cm x 30cm x 20cm and 6.5 kilos. The rest of the materials to build the installations are available locally everywhere in the world and there is no reason to ship things like lumber, pipes, tanks and plastic if it is available locally. You will need to take the AU Course first to have a better understanding of the technology and how to adjust the installation to the local conditions. iminterested to learn , i live in nj, how do i get started? We are 5 people in the family. Im not a handy woman. Thank you for your inquiry into how to get stated in New Jersey. To do this right you will need to hire someone to build the entire system and use the PFAS Kit Option 2 to make it work. Start by signing up to take the course and you will have a much better idea of what is involved and more importantly you will know how to operate the Unit when in is finished and operational. 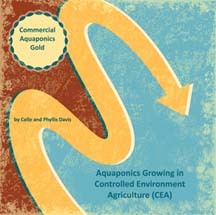 Please see the Commercial Aquaponics Course page for complete details. You can pay with PayPal, debit or credit card or wire transfer. Once we receive the payment, you can begin to take the Certification Course and upon completion you will receive the PFAS Kit Option 2 after paying the small shipping charge. It’s that simple. I’d like to know if there are any local Aquaponic farmers/growers in my area? I live in the Kansas City, Missouri area. Currently there are no PFAS Units available for tours in your area. An odd phenomena happens with a very high percentage of Portable Farms customers, they do not want us to let anyone know they have one in their backyard. You could be the first in your area and even charge for tours as do our California locations. The guideline for sizing a system is that 25 sg ft of grow space will feed an adult year round most of their vegetables and two serving of four ounces of fish per week. So for 12 adults you will need 300 sq ft of grow space. Two modules will work very well in a greenhouse that is approximately 16 x 40 ft. The Grow Trays are normally 4 to 5 ft wide so two tray 30 to 38 ft long will serve your family. You do need to have the system in a ‘true’ greenhouse or as we call them ‘a climatically adapted structure’. With your system inside you would have production on a year around basis. I trust this addresses your questions. Colle Davis, Director, Aquaponics University. Looks like a great set of classes. Going to look into taking it. Craig: Thanks for you comment. If you have any questions about the class or the local area, please contact me for more information! I am interested in aquaponics and like to add this to my greenhouse of 20X54 Feet. Might as well get certified at the same time. Thank you for your interest in aquaponics from Aquaponics University. You can sign up either online HERE or we can take your order for the training by email or over the phone. you can make the Grow Trays Tables slightly narrower, and place three Modules in that 20 x 54 ft space. If you have three Grow Trays that are 4 x 46 you will than have 552 sq ft of Grow Space instead of 400 sq ft in your greenhouse. Let me know which is better for you and I’ll work with you to really maximize the use of your greenhouse. We look forward to seeing you at the training and your order. We have many students asking for educational programs, Can you tell us the cost and particulars on the program. Most are interested in a “certificate program”. Forgive the delay in responding. You actually were on our new site before we had it finished. You can now get all the particulars by looking under the specific programs on the navbar. The descriptions and prices for each one is listed.